Photo:	Tilmann Insinger, Lokale Arbeitsgruppe (LAG) Lippe-Issel-Niederrhein e.V. 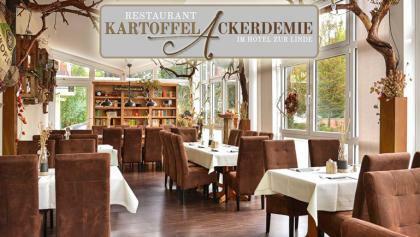 Photo:	Lokale Arbeitsgruppe (LAG) Lippe-Issel-Niederrhein e.V. The 3-Flüsse-Route leads to a total of 161 km across the region Lippe-Issel-Niederrhein and connects the seven municipalities Hamminkeln, Hünxe, Raesfeld, Rees, Schermbeck, Voerde and Wesel. Of course, shorter stages are possible, for example, you can customize on the routes N1-N3 of the 3-Flüsse-Route. In any case, you will experience calm and relaxed cycling away from the main roads. It has a wide variety of landscapes and cultural attractions to visit. And if you are traveling with an e-bike, a lot of charging stations along the route are offering the ability to recharge your battery pack - the one of your bike as well as your personal: Bridge the waiting time with a culinary refreshment at one of the local restaurant services! 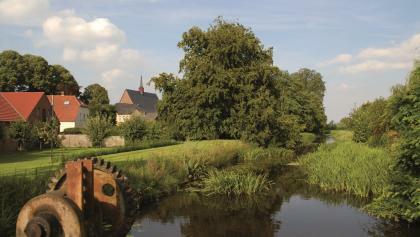 Lippe-Issel-Niederrhein - experience the area! 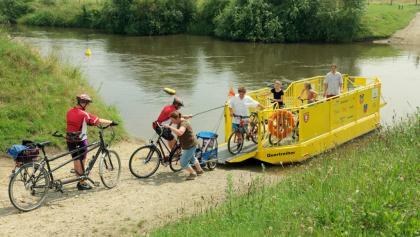 The region Lippe-Issel-Niederrhein invites you to exciting journeys of discovery! 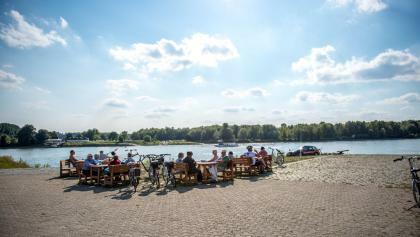 Situated in the north-west of North Rhine - Westphalia in close proximity to the Netherlands it has to offer extraordinary natural phenomena: The picturesque interplay between land and river gives this area its special charm. A variety of scenic and cultural attractions are waiting to be discovered. The idyllic landscape is also an interactive experience - whether by canoe on the water or by bike on the well-developed network of cycle paths. With the newly developed packages you can meet the 3-Flüsse-Route and the region Lippe-Issel-Niederrhein now even more intensively: Choose between offers from three thematic areas and tour lengths between three and five days. Your personal favorite tour is right there for you! For more information and bookings: www.2-land-reisen.de. Pay attention to the operations and events of " fine food from the land" - the producer initiative with delicious products, of which one knows the origin ! The app is available for both iOS and Android devices in the stores - for free! The 3-river route linking the seven municipalities Hamminkeln , Hünxe, Raesfeld, Rees , Schermbeck, Voerde and Wesel. 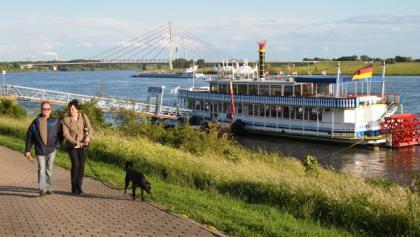 Along the route there are 3-river rail connections in Wesel, Hamminkeln, Dingden , Haldern ( Rheinl) and Rees- Empel. In the near distance (2-10 km) are also the stations Borken, interpreting , Dorsten, Meerhoog , Rhade and Voerde . The region Lippe- Issel - Niederrhein is located in the north- west of North Rhine - Westphalia in close proximity to the Ruhr area and the Netherlands. For directions by car , you can use the A3 and A31 as well as the federal highways B8 , B58 , B70 , B224 and B473 . Offerer: 2-LAND Reisen |	Source: Lokale Arbeitsgruppe (LAG) Lippe-Issel-Niederrhein e.V. by Stefan Sommerfeld, Lokale Arbeitsgruppe (LAG) Lippe-Issel-Niederrhein e.V.